A nice slice of history here, with Necrony's covers EP on Poserslaughter Records, 1994. 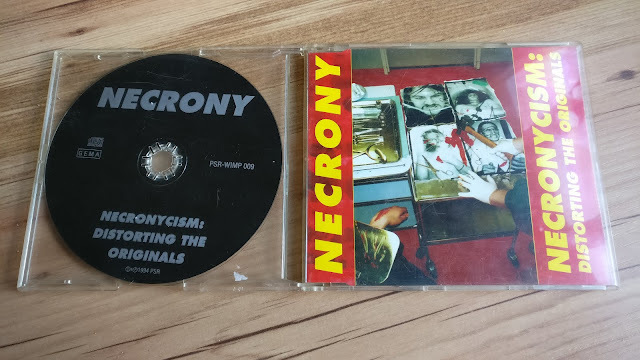 Necrony members went on to form Nasum as a side project, but in these early days, they worshipped the gods that are Carcass (as if you wouldn't be able to tell from the cover and title!). 12 tracks, featuring covers from Carcass, Impetigo, Repulsion, Napalm Death, Bolt Thrower and Carnage - what's not to love?